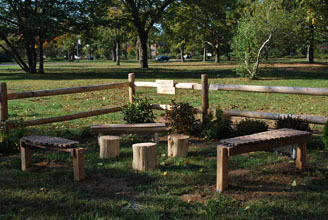 The Nature Explore Classroom at Islip Early Head Start is the 7th certified Nature Explore Classroom in the state of New York and the 46th in the nation and also the first at an Early Head Start site. Islip Early Head Start has the mission of providing a comprehensive learning environment to all children. A picture of what this space would develop into was clearly visible after a design consultation by Dimensions Educational Research Foundation. A concept plan, outlining this future Nature Explore Classroom, was developed that contained clearly delineated areas showing a space where children could learn and have unstructured play time. 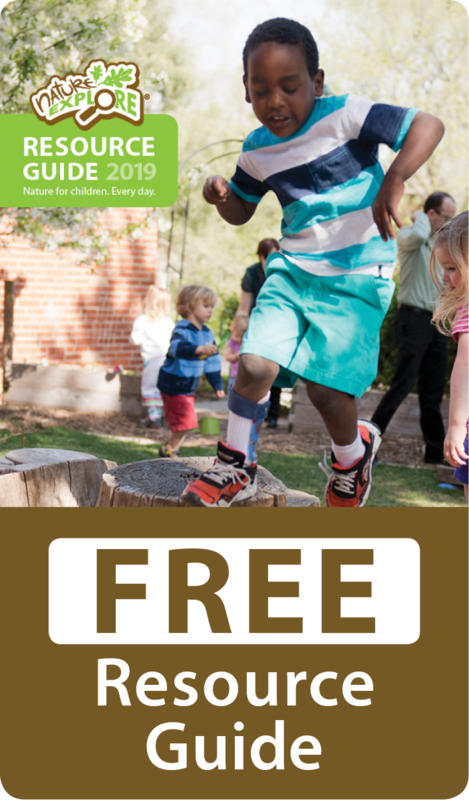 There are age appropriate areas for infants and toddlers, including climbing, riding wheeled toys, digging, music and movement, planting, painting and exploring natural materials. The beauty of this classroom is maximized by shrubs, perennials, local grasses and plants that fill and border areas. The Messy Materials Area has Geo Mulch, a durable and long lasting mulch, which is architecturally generated and will be used for digging. 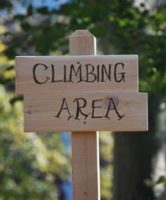 The Climbing and Meeting Area is made from beautiful cedar wood and sits next to the Building Area with tree cookie flooring. The meeting area has a large wooden pole in the center to display children’s art work. Pine cones from the evergreens and tree trunks from the oak trees gathered from this property are all part of the classroom. Families were sent a letter including plans for the new space with follow up meetings held shortly after. Parent volunteers were recruited that helped put together the equipment and helped in other tasks.